Objects of Our Desires - AMBER P.B. A ten day collaborative residency project with Laura Leif, as part of the NoDS residency project. 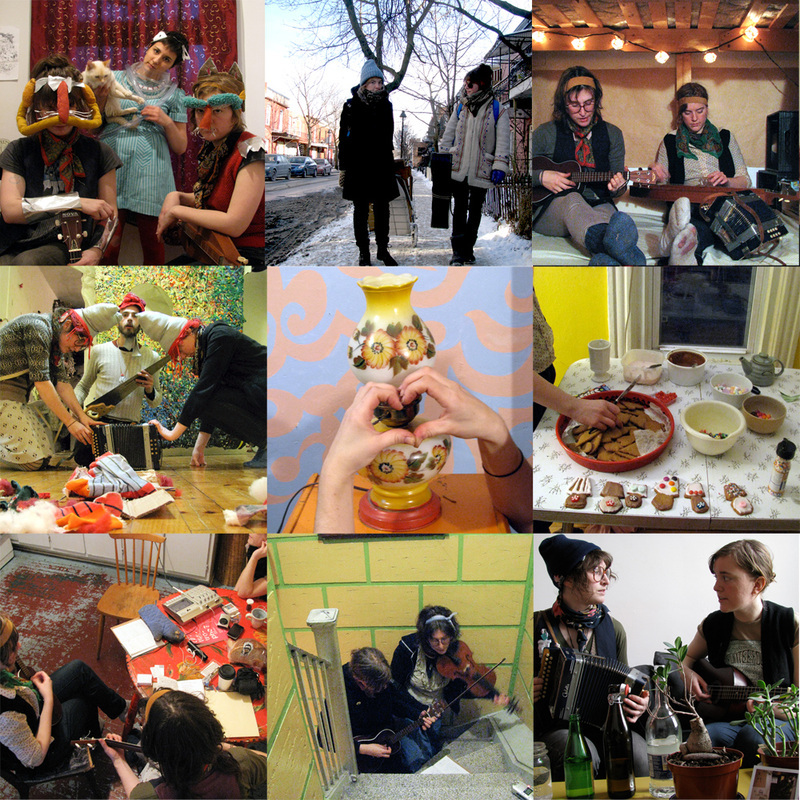 Over the course of this 10 day residency, we conceived of, wrote, performed and recorded 10 songs, inspired by personal objects that were submitted by participating collaborators in Montreal. The project resulted in a limited edition cassette tape and accompanying song book/zine available for purchase HERE. This musical collaboration was later included in a tour and road show curated by Calvin Johnson and the Believer Magazine in 2012. The song, Love Song for Lamps, was used as the title track for a mix tape, released through the Believer Mag in the same year.